You cannot add "Tails of Equestria: Gamemaster's Bundle!" to the basket because the product is out of stock. Tails of Equestria: Mega Book & Box Set Bundle! Every single Tails of Equestria product currently available is included in this massive collection, at a limited-time special bundle price! If you’ve been waiting for the perfect time to get into Tails of Equestria then you need wait no longer. 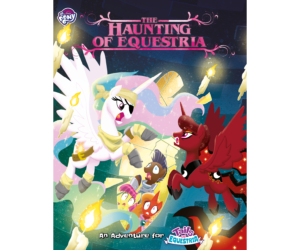 This awesome bundle will equip you with the rulebook, expansions for the Gamemaster (including loads of new monsters and characters) and every single adventure so far, even including The Haunting of Equestria. Tails of Equestria: Get Started Bundle! Frazetta Collection Bundle!